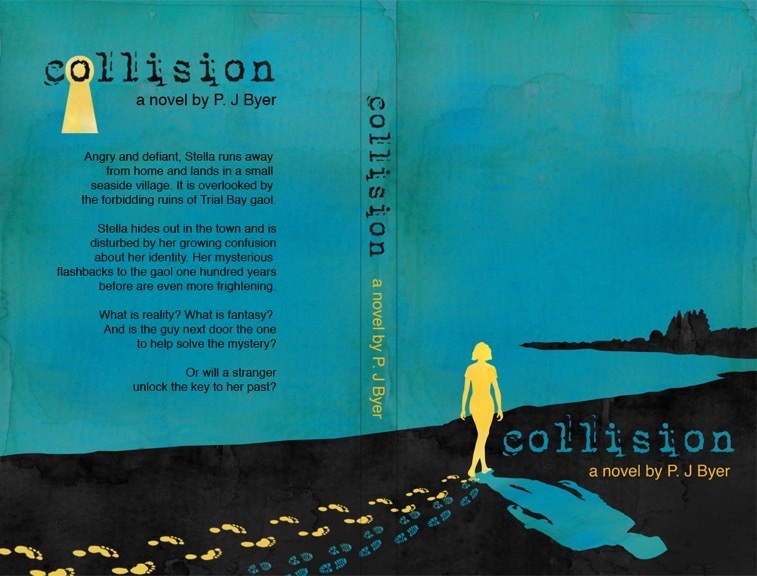 On the journey to produce my Young Adult book Collision were so many creative steps. A crucial part, once the book is ready for publication, is the cover design, which includes the “blurb” on the back. The reader, whether of a print or ebook, may know of the writer as the initial stimulus, or have had him/ her recommended, or love the genre. After this, the reader is most often drawn to the cover. 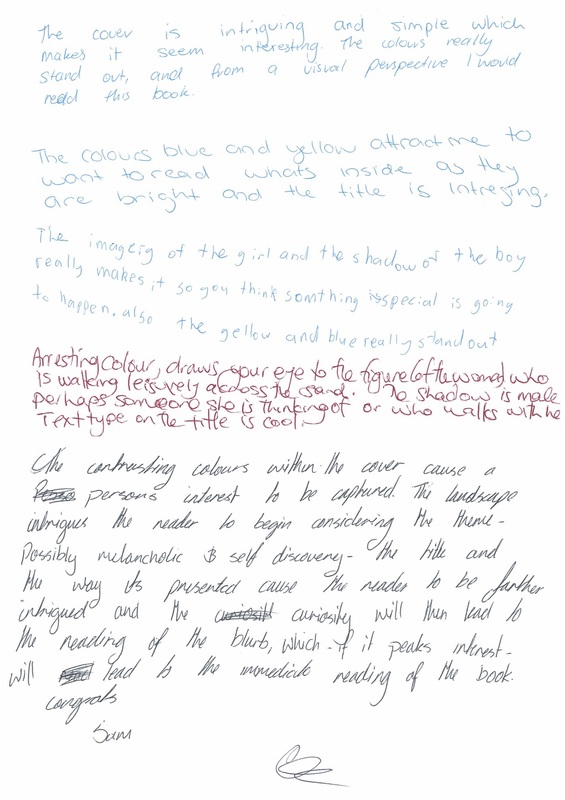 Their next step is a glance at the blurb, the writing of which is an art in itself. If all this is appealing, the reader may buy it! I was very lucky to have Danielle Byer Greenslade of Black Ant Designs as my designer. The fact that she is my sister added to the ease and enjoyment of the experience, as she understood my vision for the book and we were on the same page (pun intended!) with our concept for the cover. 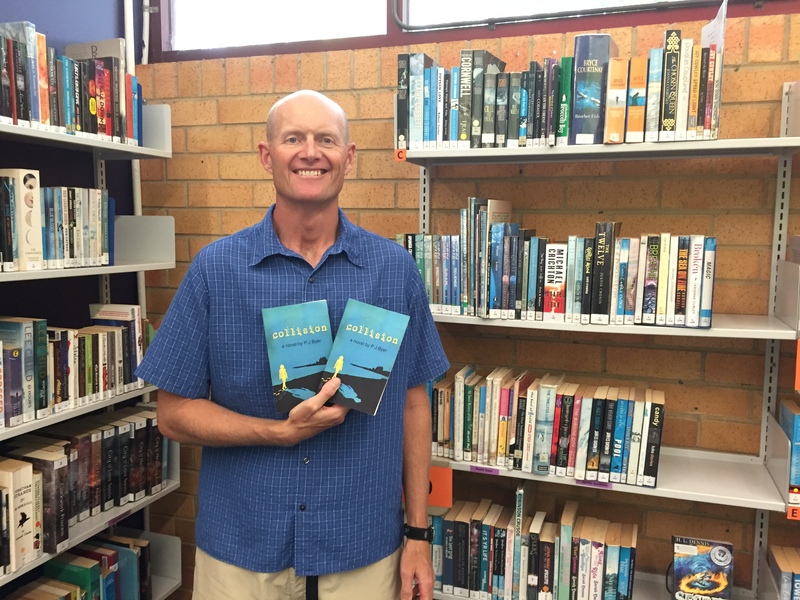 One of her clever ideas was to approach the very helpful librarian at Alstonville High School, Mr Sam Palsmeier for design feedback ( he is pictured above with two copies of Collision I donated to Alstonville High’s library.) He rallied interested students who conveyed thoughtful and precise comments on the composition of the cover ~ the colours, the figures, the setting and what these might symbolise, as well as the blurb. A number of them liked the simplicity of the design, and were intrigued to find out more. When they were so enthusiastic, Danielle and I knew we were on the right track. A big thank you to Sam Palsmeier and his students, whose feedback really helped our design process.